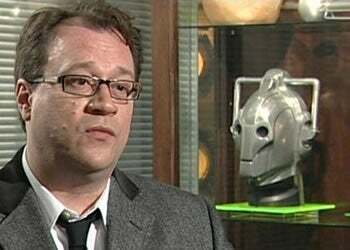 In a new interview, outgoing Doctor Who showrunner Russell T Davies finally kills those movie rumors once and for all (Or does he?) and also talks about spoilers from the show getting released ahead of time. Should we be worried? When I was inside the programme it really p*ssed me off but now I'm outside it and seeing stuff that they're filming [for the next series] appear in the papers it excites me and doesn't put me off watching it in the slightest... [But] I don't want to go to my deathbed without finding out who leaked stuff. They will be found. Confidential memo to those who leaked: Thank you. Now run and hide.